We all shop at franchises on a regular basis, and unless you live in a very rural community, you probably have franchises near your home or office. From McDonald’s to lesser-known franchisors, these businesses dot the country and have a huge economic impact. There’s a franchise to fit every entrepreneur’s background/personality. What are you passionate about? Is it sports? Food? Service? With thousands of franchises to choose from, you can pinpoint which one is ideal for your expertise and desire. You don’t have to start from ground zero. When you own a business, you often have to start from the ground up. A franchise allows you to skip a lot of the basics, and provides you with a chance to get moving sooner. 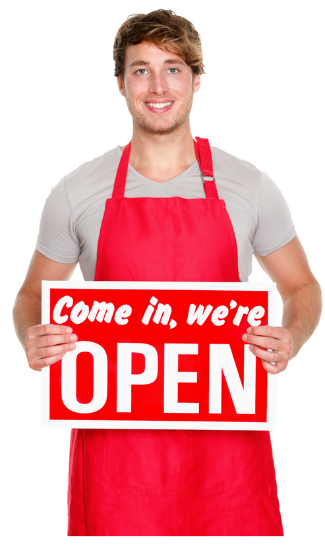 Franchisors regularly provide franchisees with business plans, software, comprehensive training and much more. You'll get constant support. Want a mentor? You don’t have to look far if you invest your dollars in a franchise. Most franchisors put a lot of effort into their franchisees because they want you to succeed. After all, the more money you make, the more the franchisor gets in fees. This means it’s reasonable to expect that you’ll get tons of hands-on advice, and you can call your supporters for recommendations when you need them. You can start a franchise even if you have a moderate amount of cash. Yes, it’s possible to own a franchise without needing hundreds of thousands of dollars — or even millions, in the case of some very high-level, well-recognized franchise brands. Of course, you’ll want to have reliable, substantial monies available, but you don’t have to be a millionaire or have angel investors to get started. You can fill a need in your community. Do you notice that your community is lacking a type of store or business that could be incredibly useful for you and your neighbors? Consider opening a franchise that fills that niche! You’ll be doing a great service, and making a profit from it, too. Excited by all the possibilities? There are numerous conventions throughout the nation where attendees can shop around for franchises. And remember that you don’t have to know it all to become a successful franchisee. Surround yourself with great people and hire professionals like bookkeepers, accountants and legal representatives who can keep you and your business on track.